What child doesn’t love the prospect of cuddling up with their mum or dad and hearing a bedtime story? Find out what makes a great bedtime story – and how you can make reading. them more fun. 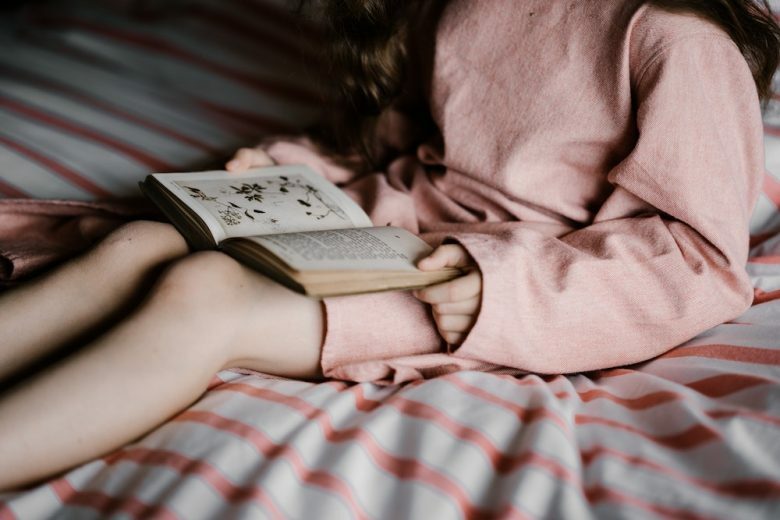 Despite the increasing creep of technology into childhood, there’s one old-fashioned tradition that children still love – being read a bedtime story. Reading to your children helps to build your bond with them, opens up opportunities to talk, aids literacy and encourages a lifelong love and habit of reading. Is there a formula for a good story? 85% of bedtime stories follow the adventures of animals or magical beasts with human traits. The most popular characters are rabbits and monsters. Shockingly, 50% of classic stories only feature male or gender neutral characters. Almost half the classics’ protagonists carry the characteristics of the ‘bold and brave’. 30% of bedtime stories feature the bedtime routine. Three in five bedtime books teach fundamental life lessons. 45% promote the importance of meals and mealtimes. 25% have a ‘scary’ theme. Over half feature a dilemma that has to be solved (and indeed, is always solved). It seems we still love the classics, with the majority of us saying we have or would read them to their children according to a recent survey. This could be because we want to share the pleasure we got from the stories as children. And though there are plenty of brilliant new children’s books, you can’t really get better than a classic Peter Rabbit tale. So, with 95% of parents saying that they read bedtime stories to their children, are there any tips to improve the experience? Here are five ways you can get the most out of the experience – for you both. The easiest way to ensure your child will be interested in the bedtime story is to let them choose the book themselves, because this means they’ll already be curious about the story. Don’t be surprised if you end up reading the sale story five, six or even ten nights in a row. Children learn by constant repetition, and they find consistency comforting. They love to anticipate the next line or sound. So be patient, and even if you groan inside at their choice, smile and read as if you’re as interested in the (now familiar) story as they are. Story time is the perfect excuse for a cuddle with your child. So sit next to them and hold the book directly in front of you both. This has the double bonus of a wonderful bonding time, but also enables them to see the words you’re reading (even if they can’t read them yet). It goes without saying that while you’re reading your child should feel safe and loved. This feeling of security can also help to encourage them to open up about anything that might be bothering them, so look out for signs they may want or try to be telling you something. As you read, move your finger along the words to help with your child’s reading. By doing so, they will begin to connect the written words with what’s being said. Encourage them to ask about any words they don’t understand too, especially if it’s a more complicated word they may be hearing for the first time. Ask them directly if they know what these words mean and explain to them if not. Children’s books are full of beautiful illustrations, so make the most of them. Point to all the pictures and explain what is happening, and how characters may be feeling. This is also a good chance to explain anything your child might not have seen before. If they’re particularly engrossed in the story, ask them what they think will happen on the next page. When you’ve finished the book, ask your child what they thought of it. Talking about the book will help them understand the nature of the relationships they may have just read about. Many children’s books contain conflict, so talking this through with your child will make sure they understand the message, too. Along with the many benefits your child gets from being read to, this time should also be fun for you. So don’t be afraid to use silly voices and encourage your child to do the same. Make the most of the quiet reading time you get to spend with your child. It may seem hard to imagine now, but soon they’ll be teenagers, and you’ll miss them actually wanting to spend time with you!